At DSBS we often host international visitors who have similar research interests and methodological approaches to those who are based here. Lianne Cremers was connected initially connected to us through her interest in TB within community contexts. We then introduced her to community partners in Town Two, Khayelitsha, where we have longstanding connections. This piece, and visual ethnographic work, was part of her PhD thesis completed at the University of Amsterdam in 2017. South Africa, and the Western Cape and Cape Town in particular, face one of the most serious and persistent TB epidemics in the world. While there is a great deal of biomedical and health services research on TB, there is much less research on the lived experiences of people, families and communities living with TB. Like most illnesses, effective prevention and treatment of TB requires the active participation of those infected and affected by the disease. It is vital that we understand more about the experience of having TB and undergoing TB treatment, as well as how people make decisions about living with their disease and their treatment options. In exploring these questions in Khayelitsha, we were especially interested in understanding ‘resilience’ and the ways local forms of resilience shaped the experience of TB treatment. The focus of most social science research on TB has been on the crucial social, economic, cultural, and political factors that shape the course of the epidemic. This research on the ‘social determinants’ and other structural causes of TB highlights the many forces that make some individuals and communities vulnerable to TB infection and that make it difficult for them to initiate and complete treatment. These factors include poverty and unemployment, socioeconomic inequality, TB-related stigma, poor housing and infrastructure, weak health systems and services, hunger, HIV co-infection, tobacco and alcohol misuse, economic migration, and more. While this work is vital, this kind of research is limited by its tight focus on factors that put people at risk and make them vulnerable. Resilience-based approaches, by contrast, ask what strengths, capabilities and capacities individuals and communities have at their disposal for dealing with adversity and maintaining their well-being. Thinking about what makes people and groups resilient does not mean ignoring the forces that make them vulnerable and keep them sick. Rather, this approach tries to combine our understanding of what harms the health of the public with an understanding of the ways people actively work to manage threats to their health and improve their lives. In 2014, Lianne Cremers conducted ethnographic fieldwork about TB with colleagues in the Division of Social and Behavioural Sciences at UCT, as part of her broader doctoral thesis project. This thesis (Cremers 2017) comprised comparative, cross-sectional and visiual ethnographic research about the functioning of National TB Programmes (NTPs) and the experience of TB patients in South Africa, Zambia, and Gabon. In these countries, TB rates are high, yet NTPs and local contexts vary greatly. The thesis was designed to help us better understand why some NTPs are not adequately lowering TB rates or fully addressing TB patients’ needs. In Khayelitsha, we sought to better understand the day-to-day experiences of living with TB and taking TB treatment. Khayelitsha is one of South Africa’s biggest townships, where the prevalence of HIV and TB are very high. In addition to this significant burden of disease, Khayelitsha is characterised by inadequate access to basic resources and services, like housing, water, sanitation and refuse removal. Many of its residents experience extreme income poverty, and are often financially reliant on meagre social grants in order to support themselves and their families. Together with Monwabisi Maqogi, our community partner and local coordinator in Town 2, Khayelitsha, we conducted five months of ethnographic fieldwork with 30 TB patients as well as 30 healthcare workers, traditional healers and pastors in the area. We conducted interviews and focus groups and participated in local community and family events. We also filmed during fieldwork, following seven participants, and produced a peer-reviewed multimedia article consisting of text and videos and an ethnographic film based on the study. The article can be reached here. The list of challenges that TB patients in the study faced were familiar to anyone working in this field. They spoke about how stigma was still a real problem in their families and communities. They described struggles with alcohol consumption, substance misuse, and mental health problems. 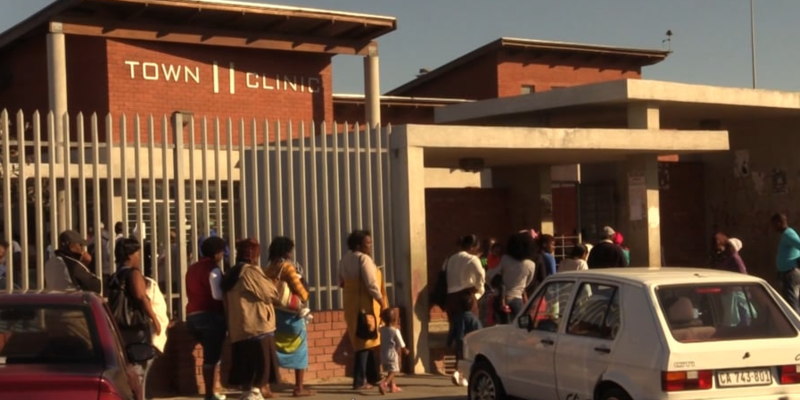 They expressed confusion over the causes of TB and were concerned that the cold weather or the lack of proper sanitation in their daily environment posed an ongoing threat of TB. Furthermore, many participants reiterated common complaints about healthcare experiences at local clinics. Finally, patients shared some harrowing stories about the side-effects of TB treatment, especially for multi-drug resistant TB. The side effects of TB treatment are a well-known challenge. What was striking was the severity of the reported effects, and the degree to which managing side effects came to dominate people’s experiences and perceptions of TB. Within these same stories, however, people with TB also shared stories about how they manage to persevere, problem solve and find ways to manage the multiple forms of adversity they face day to day. Many spoke about taking both short and longer-term breaks from treatment. This is often understood within public health and medicine as a failure of individual willpower, awareness, and decision-making. For TB patients, however, these were conscious, intentional acts, efforts to regain some control in other areas of their life. For example, they usually interrupted treatment to reduce treatment side effects in order to better attend to family needs, responding to food shortages in the home (which worsen side effects), to be able to pursue work opportunities, or just temporarily regain a sense of dignity and be free of side effects and their impact on family and friends. Our participants also described the ways in which their own communities also demonstrated resilience in supporting them. Patients spoke about the ways friends and neighbours would provide food, comfort, and financial support when patients and their families were in need. They argued that ‘ubuntu’ (humanism) was always at work within their social networks and neighbourhoods, and offered an important source of emotional, social, and material support. At the same time, however, patients’ stories were also full of descriptions of the ways these same close social ties could increase their experience of stigmasing attitudes and make TB patients more vulnerable to being marginalized and left unsupported. When the fear of TB and the stigma against those living with TB is widespread in a community, living in close connection to each other can expose TB patients to ongoing, undermining acts of day-to-day discrimination and make it very difficult for them to find alternative sources of support. Exemplified in the documentary and the paragraphs above are two forms of resilience among TB patients—temporary interruption of TB treatment and the important role of community support networks. These forms of resilience can have both positive and negative effects on people’s health, but they show how the decisions people make are always more than just about their TB treatment. Rather, their choices about TB treatment are always embedded in their bigger efforts to manage the ongoing social and economic hardships they face. These forms of resilience might be effective, but are also fragile, as support from social networks could easily turn into a means of excluding those considered ‘dangerous’ and suspicious because of their TB. The take-home message here is that even in those moments when patients or communities seem to be ‘failing’ (from a biomedical point of view) to achieve what they need to do to protect their health, they are often at the same time actively trying to solve other urgent problems in their lives. In the process, they are demonstrating a kind of resilience that needs to be better recognized and cultivated. The more we—academics, clinicians, activists, managers, and others—recognise the multiple forms of resilience and vulnerability at work in patient’s lives, the more we will be able to understand and effectively support them. You can find clips of the video interviews for this project embedded in the online version of an article reporting on this study (1). You can also see a trailer for the longer ethnographic film—TB in Town 2. 1. Cremers AL, Gerrets R, Colvin CJ, Maqogi M, Grobusch MP. Tuberculosis patients and resilience: A visual ethnographic health study in Khayelitsha, Cape Town. Soc Sci Med. 2018;209:145-51. Epub 2018/06/04. doi: 10.1016/j.socscimed.2018.05.034. PubMed PMID: 29859971. Lianne Cremers has over 5 years work experience in health and social settings. She has become proficient in analyses, evaluation, writing, filmmaking, and presenting. Her contribution centers primarily around connecting to people generating an in-depth understanding of how policies or programs are experienced by its target group. She believes that this information is key to building policies that are fair, effective, and sustainable. Throughout her career she has been committed to helping disadvantaged social groups and the wider community. Convinced that new times demand new methods, she is trained as a visual anthropologist. This means that she is a film-maker and brings her camera into the field, making a montage and sharing her knowledge and advice via film during meetings or on social media. Alison Swartz is a lecturer in DSBS. She has an honours in Social Anthropology and a Masters in Public Health (MPH) and a PhD in Public Health from UCT. Her PhD explored the ways that young people used their gender identities and sexual partnerships in attempt to access a more adult form of identity. Alison currently convenes three course on the UCT MPH Programme: Public Health and Society, Qualita­tive Research Methods and Qualitative Data Analysis. She also convenes the Social and Behavioural Sciences Track on the MPH programme. Christopher Colvin is an associate Professor and head of DSBS. He has a PhD in socio-cultural anthropology from the University of Virginia and a Masters in Public Health from UCT in epidemiology. His research interests include HIV and masculinity; health activism and community health govern­ance; trauma, subjectivity and narrative; and the interface between communities and health systems in the context of HIV/AIDS, TB and maternal and child health.